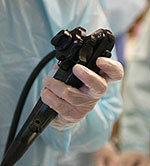 Colonoscopy may be recommended as a screening test for colorectal cancer. 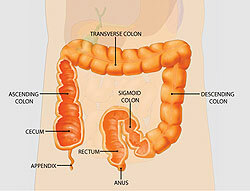 Colorectal cancer is the third leading cause of cancer deaths in the United States. Annually, approximately 150,000 new cases of colorectal cancer are diagnosed in the United States and 50,000 people die from the disease. It has been estimated that increased awareness and screening would save at least 30,000 lives each year. A colonoscopy in Newport Beach may also be recommended by your doctor to evaluate for symptoms such as bleeding and chronic diarrhea. Most medications can be continued as usual, but some medications can interfere with the preparation or the examination. Inform your doctor about medications you're taking, particularly aspirin products, arthritis medications, anticoagulants (blood thinners such as warfarin or heparin), clopidogrel, insulin or iron products. Also, be sure to mention to your doctor any allergies you have to medications. If you're in need of a colonoscopy, call our Wesley Chapel, FL office today at (813) 994-4800 to schedule your appointment!